Cardiovascular disease is the major cause of morbidity and mortality in Canada. At Advanced Cardiology Medical Centre, we provide consultative cardiac services for patients with the full range of known or suspected cardiovascular disorders. Our cardiologists can help identify cardiovascular risk factors , with the help of advanced cardiac tests and minimize those that are amenable to modification, such as hypertension (high blood pressure), hyperlipidemia (high cholesterol) and diabetes. 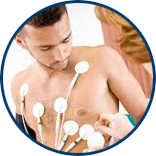 Why Choose us for your Cardiac Tests? We are expanding as a provider of local and remote cardiac services. We recognize that there is a need for a fast, high-quality and most importantly, PROFESSIONAL service. 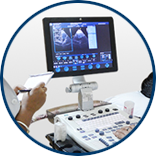 We provide patients and referrers with an unrivaled cardiac diagnostic service. 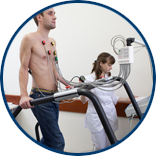 All of our cardiac tests are performed by trained specialists and reported by consultants. We issue the reports to the referring doctor either on the same day or within 24 hours. The cardiologists on the team have extensive experience of multi-centre trials, serve on major national and government bodies and undertake advisory work for the medical industry and clinical research organisations. At Advanced Cardiology, our team of professionals value customer service, understanding your need to access premiere medical care with minimal disruption to your daily routine.